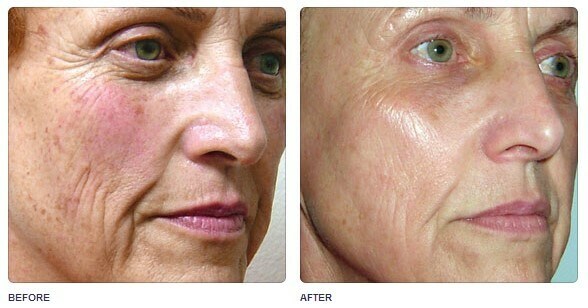 The laser can treat the excess vessels very successfully, without damaging the surrounding tissues and skin. After 2 treatments, a major improvement will be visible. Usually 3 treatments will be necessary, though. It’s important to use proper sun protection during the period that you are being treated and not to go to a tanning bed or sauna. 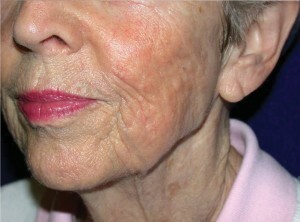 Punctured veins, spider veins or spider naevi are local dilations of small blood vessels in the skin. They usually occur in the face. Although this is also a completely harmless condition, it is considered unappealing. 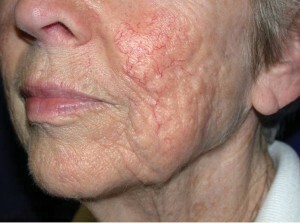 Using a laser, these veins can often be removed in 1 treatment, without damaging the surrounding skin. The red skin can be camouflaged very well with the mineral make-up of Jane Iredale. Our beautician will be happy to show you which products best suit your skin colour and how you can apply them.